Fostering strategic partnerships will be a key task of the new EU High Representative. While being realistic about short-term prospects, the value of these partnerships is to be assessed over the long-term. High representative Mogherini should review the “partnership way” with a view to pursuing it in a more effective and flexible manner. This commentary appeared in EUobserver on 10 November 2014. 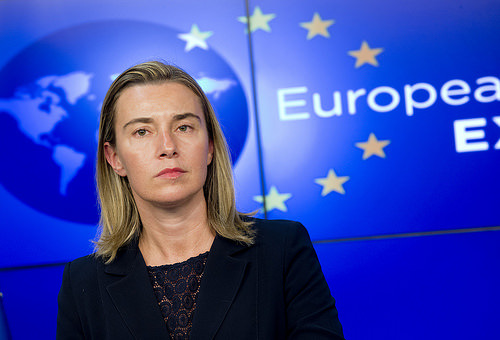 And as the new EU foreign policy chief, Federica Mogherini, takes office, many observers are wondering what hers will be. The challenges ahead for Mogherini in the next five years are not minor: troubles in the South, troubles in the East, and more troubles in the Middle- and Far-East. And the destabilising effects of global and transnational threats, such as climate change, terrorism and cyber-security to name only a few, will not make things any easier. In her first speeches, and notably during her parliamentary hearing, Mogherini indicated that she will push for a new strategic reflection on the EU’s global objectives and priorities. This is certainly a step in the right direction if the EU wants to be a “strategic player” and not merely an international observer. Of course, it also raises expectations and puts further pressure on the EU to actually deliver. In other words, the EU must walk the talk. Mogherini has rightly emphasised that the EU need not to walk alone. To face troubled times, the EU needs troubleshooting partnerships. Indeed, the EU “can count on key partners”, as she said during her hearing to the European Parliament, referring to the Union’s decade-old efforts to build strategic partnerships with a number of pivotal players. These efforts have reached mixed results. The relationship with Russia has sharply deteriorated since the onset of the Ukraine crisis and cannot be considered a strategic partnership at this stage. The one with China is less conflictual, but certainly challenging. Out of the so-called 10 strategic partners of the EU, the US stands in a league of its own. But even the transatlantic partnership is under stress, following the US’s strategic reorientation towards Asia – away from Europe, some argue – and successive snooping scandals that have affected mutual trust. Clearly, most strategic partnerships are under-delivering. Numerous analyses by the European Strategic Partnerships Observatory (ESPO), led by the Egmont Institute and Fride, have shown that these partnerships are still nascent and limited in most policy areas, from climate to development, and from economic to security co-operation. However, the partnerships are not completely hollow. They have facilitated bilateral and multilateral initiatives with a number of partners, for example on climate change issues with Mexico, Brazil and South Africa. Constructive security measures have been taken together with various partners, notably concerning cyber-security and cyber-governance. The fact is that strategic partnerships were never meant to be easy and deliver overnight. They should be seen as work in progress, intended to build trust, shape policy outcomes and reinforce co-operative frameworks. Partnerships aim to further strengthen bonds among the like-minded and create more common ground among the un-likeminded. Fostering these partnerships is one of the key challenges for the new high representative and the EU at large. The successful negotiation of ambitious trade and investment agreements would certainly upgrade a number of partnerships, such as those with Japan and India. In particular, the conclusion of the TTIP free trade deal with the US would contribute to reset the transatlantic partnership. The choice of the “partnership way” over less co-operative alternatives is a decision that is both wise and difficult. It enables the EU to engage global players through a web of projects, dialogues and multilateral initiatives. When relationships become tense, partnerships can help maintain channels of communication open and (re-)build trust. In addition, the EU’s strategic partnerships are a potentially useful tool to fill the growing global governance deficit. They can become instruments of “structural power” to shape a more effective multilateral order through various means, including bilateral ones. Their value hangs therefore on the outcome of major international negotiations, such as those on climate change in Paris in 2015 or on a new development cooperation agenda to replace the MDGs. By establishing strategic partnerships, the EU fits a broader diplomatic practice. Over the last two decades, the US, China, India, Brazil and dozens of other countries, including EU member states, have woven a worldwide web of partnerships. In a global context marked by complexity and uncertainty, states are searching for new and flexible means of political engagement. Many of these partnerships are highly imperfect and partial at best, and yet they are pursued in the effort to lay a grid of connections in a world at high risk of fragmentation. Partnering and coalition-building will become at the same time more important and harder for the EU. While being realistic about short-term prospects, the value of partnerships is to be assessed over the long-term. High representative Mogherini should review the “partnership way” with a view to pursuing it in a more effective and flexible manner.